The revocation of the policy became effective immediately. The NPS says it will continue to promote recycling disposable plastic water bottles. Many parks have free water in bottle filling stations at visitors centers and near trailheads. But is that enough? Only 20 percent of the Grand Canyon’s estimated waste stream are disposable plastic bottles, but they only account for 30 percent of the park’s recyclables, according to a 2012 press release by the NPS. That same press release stated that disposable plastic water bottles were one of the biggest contributors to garbage below the park’s rim. Filling a reusable water bottle means that less garbage winds up in the waste stream. Reusable souvenir water bottles from the Grand Canyon only cost “as little as $2.50,” the press release points out. Twenty-three NPS sites, out of 417, implemented the policy, including the Grand Canyon. An analysis of the 2011 policy found that banning disposable plastic water bottles at the Grand Canyon could eliminate up to 20 percent of the park’s overall waste stream. 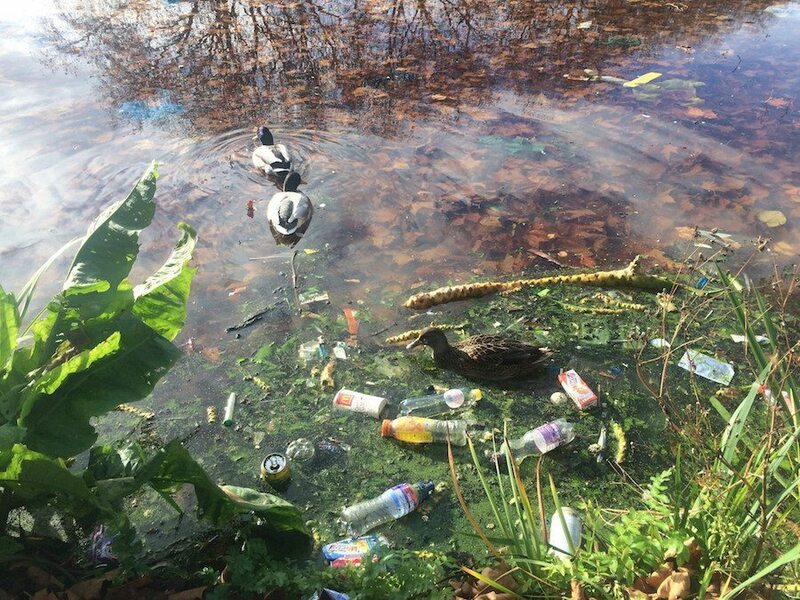 The analysis also found that banning disposable plastic water bottles would reduce the risk of birds, rodents and larger mammals ingesting plastic. The animals are attracted to plastic bottles thinking there is food or water inside. They chew the plastic and swallow small pieces of it. The plastic can become lodged in their throats and they can either choke on it or the plastic can accumulate and create blockages in their digestive tracks. In other words, disposable plastic water bottles are detrimental to wildlife at national parks. “Our National Parks have and should continue serving as an example of how to treat our natural environment,” said Sierra Club’s public lands policy director Athan Manuel in a statement. Indeed overturning the policy shows that the Trump administration does not care about the environment or sound environmental policy.